educated himself through prolific reading and began to write fiction. After a struggling apprenticeship, London hit literary paydirt by combining memories of his adventures with Darwinian and Spencerian evolutionary theory, the Nietzchean concept of the "superman" and a Kipling-influenced narrative style. "The Son of the Wolf"(1900) was his first popular success, followed by 'The Call of the Wild" (1903), "The Sea-Wolf" (1904) and "White Fang" (1906). He also wrote nonfiction, including reportage of the Russo-Japanese War and Mexican revolution, as well as "The Cruise of the Snark" (1911), an account of an eventful South Pacific sea voyage with his wife, Charmian, and a rather motley crew. London's body broke down prematurely from his rugged lifestyle and hard drinking, and he died of uremic poisoning - possibly helped along by a morphine overdose - at his California ranch in 1916. 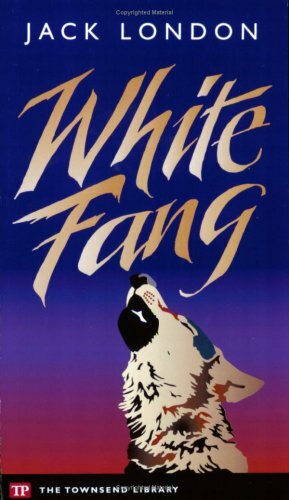 Though his massive output is uneven, his best works - particularly "The Call of the Wild" and "White Fang" - have endured because of their rich subject matter and vigorous prose.